Description: Blue and white blanket. Text on both upper and lower edges: 12. OLYMPIADE. 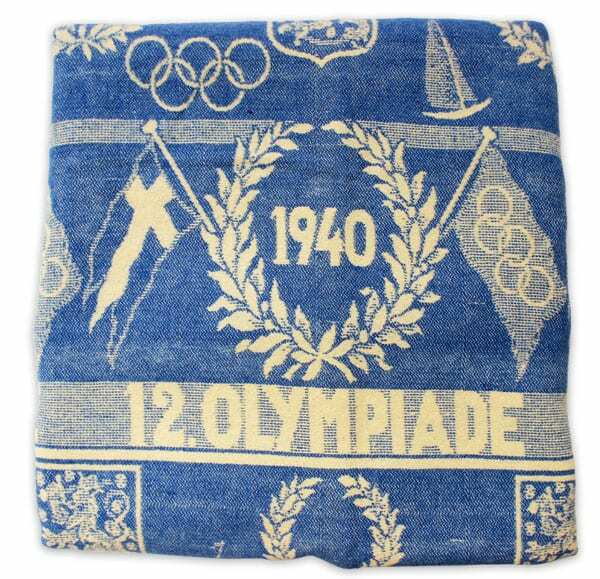 Decorative motifs: laurel wreaths, Finnish flags, Olympic flags, Finnish coats of arms and sailing boats. Other information: Manufactured for the 1940 Olympic Games. 2,580 blankets were made by 2 June 1939.